He said that his government tried to bring the Bill in Parliament in the just concluded monsoon session after the Cabinet had approved some amendments to end the practice of Triple Talaq. In a veiled attack on the Congress and other opposition parties, Prime Minister Narendra Modi on Wednesday said there were some people who did not allow the passage of the Triple Talaq Bill in Parliament during the just concluded monsoon session. He assured Muslim women that his government would not leave any stone unturned to ensure justice to them. "The practice of Triple Talaq has caused great injustice among Muslim women. 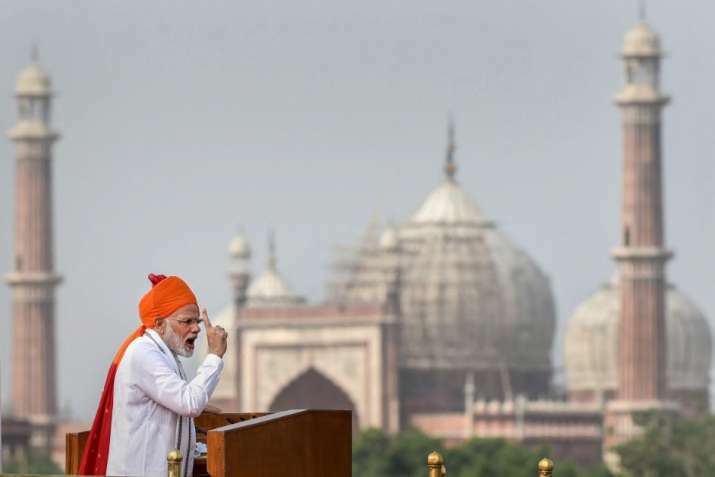 The Triple Talaq has ruined the lives of many women and many are still living in fear," Modi said in his Independence Day address from the ramparts of the Red Fort. "But there are some people who do not want it to be passed," the Prime Minister said in an apparent jibe at the Congress and other opposition parties, after the Bill was deferred on the session's last day in Rajya Sabha due to lack of consensus. "I assure Muslim sisters and daughters that their rights will be protected and the government will not leave any effort to protect them. I promise and assure that I shall fulfill your aspirations," he added.